We decided work with this company from Mexico because they offered us an excellent support and reliability. We used the following equipment: 16x TA-12X1A for the main sound, 4T-12UPA-A for complementary areas and 14x TAS-2X18A-powered subwoofers. 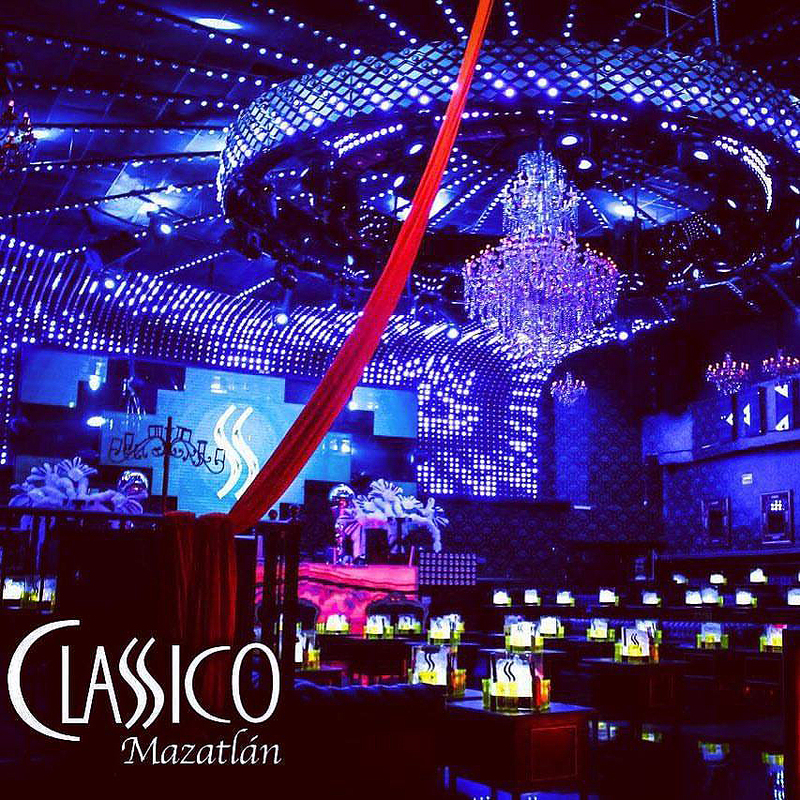 With 10 years of experience of being one of the most successful nightclub franchises in Mexico and with impressive clubs in the most important cities of the country, they decided in March 2015 to start their most important project in Mazatlan, Sinaloa. 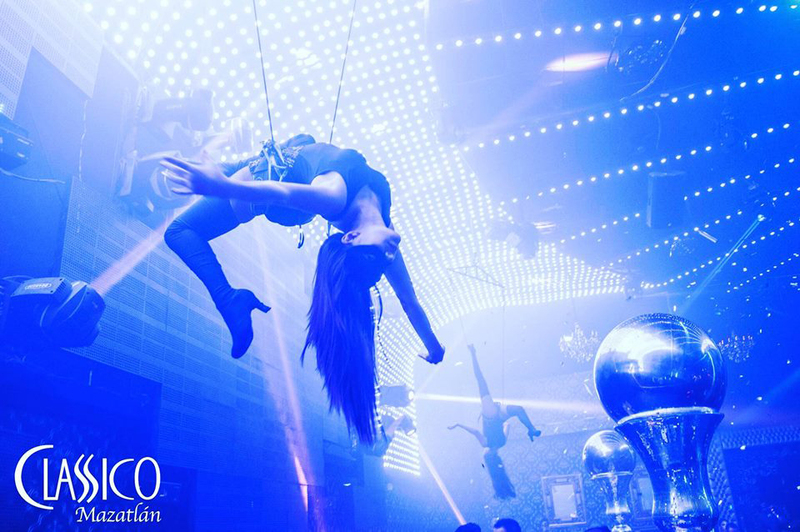 The goal was plainly to the create the city’s largest nightclub. 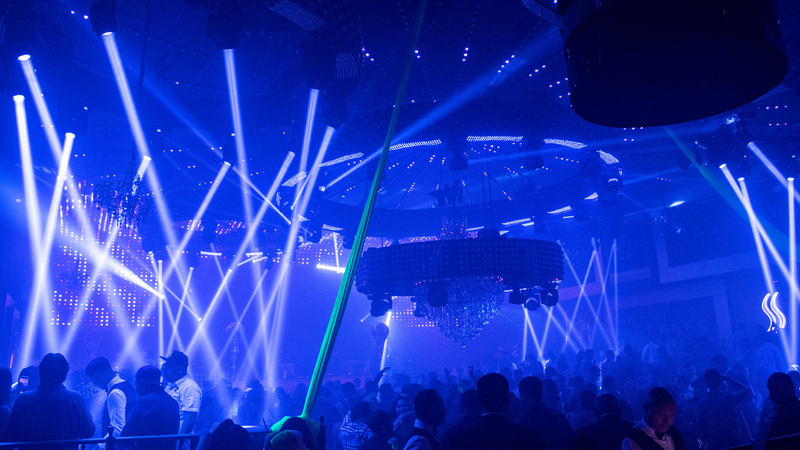 The result of the latest remodelling phase culminates in an impressive nightclub: More than 20,000 RGB LED pixels, 128 7R beam moving heads, 6 kinetic, circular structures, and another rotating central, circular structure, in addition to a huge and beautiful chandelier that weighs more than a half ton, which can be lowered and rotated as well. To control the immense quantity of RGB pixels, the MADRIX control system was chosen in collaboration with Roberto Malvaez Vidal, former director of Sin Limites, and includes 1 MADRIX LUNA 16, 4 MADRIX LUNA 8, 9 MADRIX NEBULA, 1 MADRIX KEY ultimate. For the control of moving heads and other DMX systems, a grandMA2 lighting console has been set up. All of the 6 rings with 5 meters in diameter have RGB pixels on their outside and on the bottom, generating impactful lighting every night. 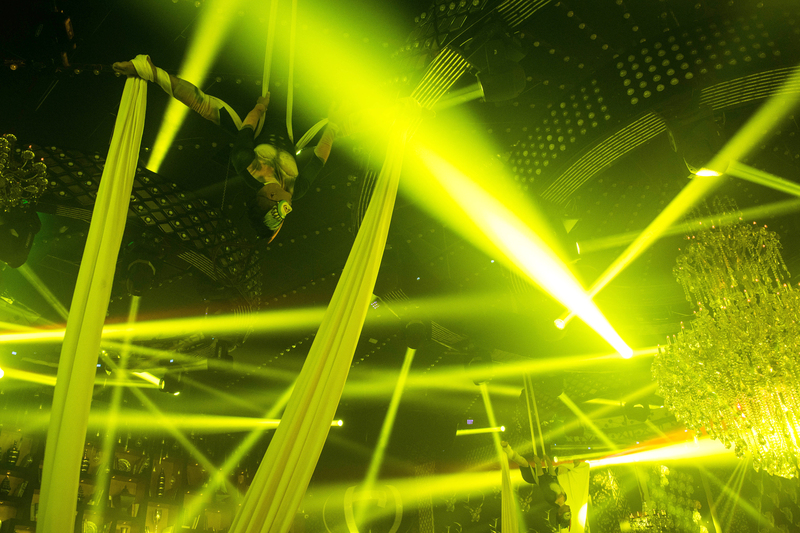 In the centre of the club, the main circular structure rotates 360 degrees and also rises and descends with its RGB pixels on the outside and bottom giving a special touch to the lighting effects, all if which is controlled through MADRIX NEBULA and a WiFi network. To support the 6 kinetic structures and the central chandelier elevation system, 24x electric chain engines are used, in addition to the elevation systems for the skydancers. 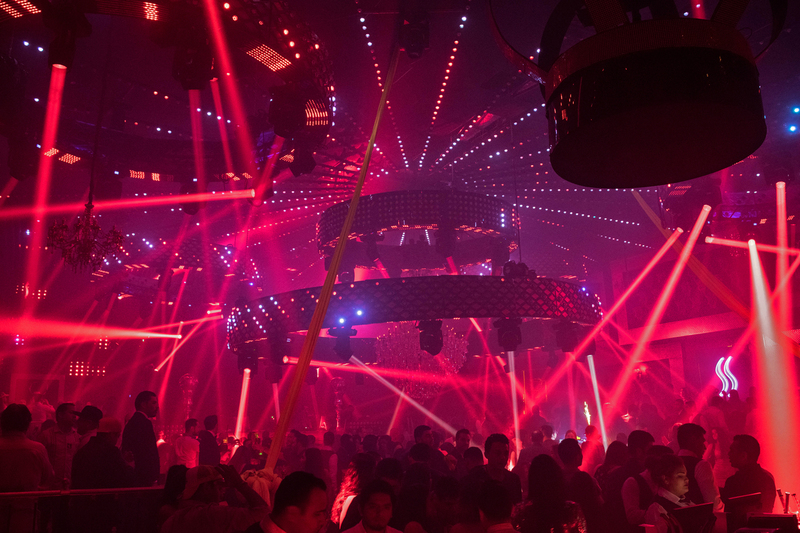 All of the above runs in conjunction with 128x 50×50 LED screen modules that are also controlled by MADRIX via DVI as well as 6x 4W RGB lasers controlled with a Pangolin system. As an extra visual effect, we designed custom-made video crowns. The decoration is a very important aspect in this place as it plays a very important role in combination with the lighting effects. The head of design, Benjamin Garcia, was responsible for this concept based on various representative elements of the region combined with a classic type of decoration and furniture. 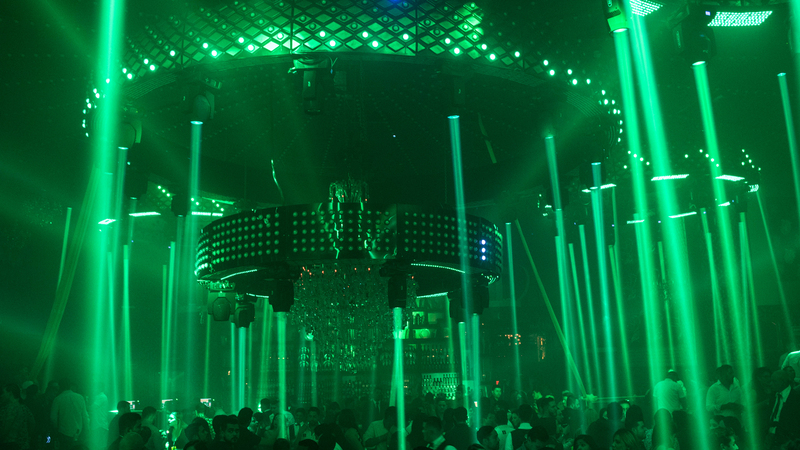 This includes the DJ booth and bar with onix covers that are illuminated by RGB lights. Time was without the biggest challenge for this project. 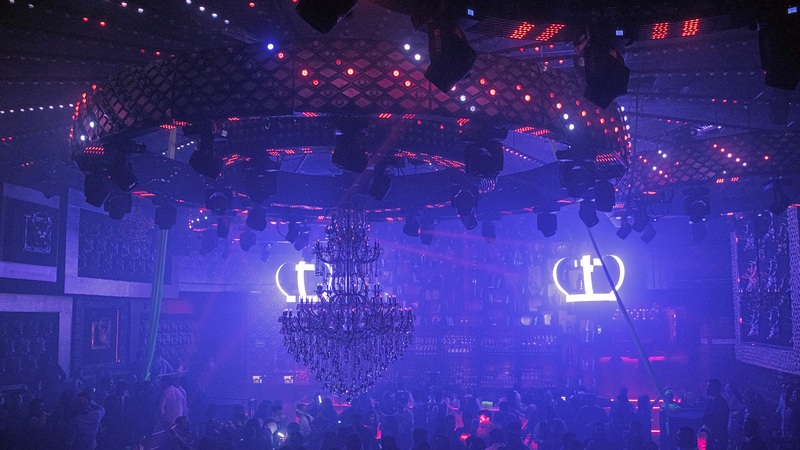 Because of the holiday season, the club could not close and all renovations of the lighting system and decorations had to be completed within only a few weeks, while keeping everything operational.